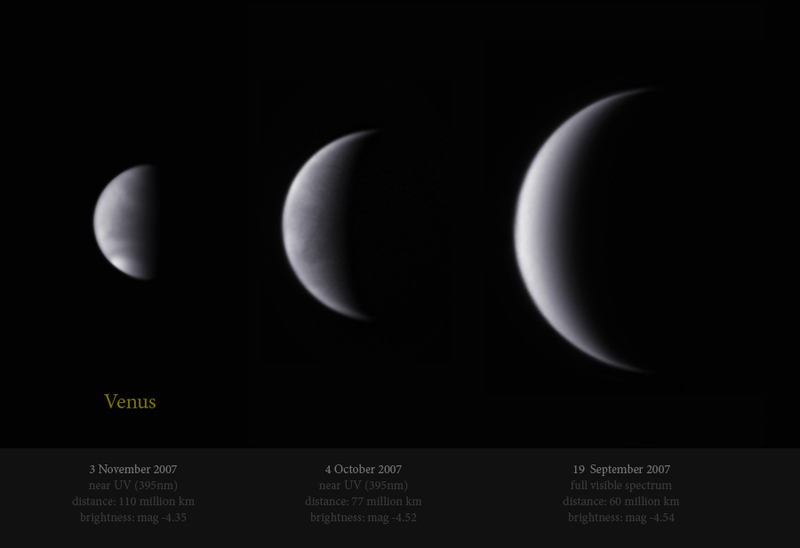 Three images of Venus as the morning star - the size and distance from earth change dramatically over six weeks but the brilliance remains constant. A-P 10" mak/cassegrain at f30. A narrowband color composite of Venus from September 24th 2007 can be seen here. More recent images of Venus can be found here.